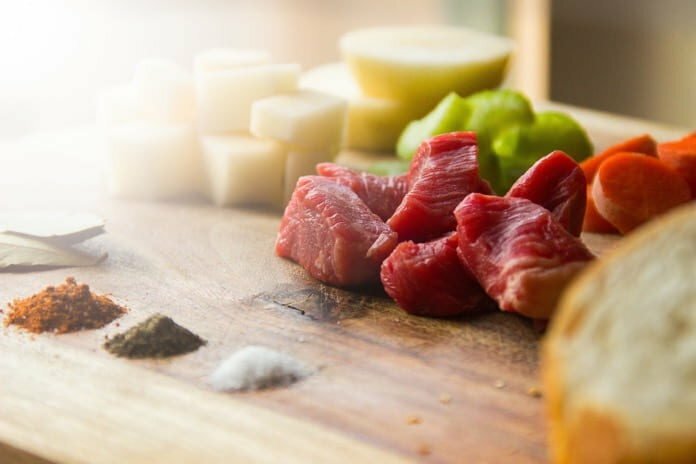 A recent study by US researchers looked at the ketogenic diet and cancer, specifically the keto diet’s potential anti-cancer effects and the possibility of its use as an adjuvant cancer therapy. The ketogenic diet is a high-fat, moderate protein, and low-carbohydrate diet that has become increasingly popular over the past few years as a fast weight-loss strategy. The premise behind the ketogenic diet is that by eating a lot of fat instead of carbohydrates, your body goes into ketosis, which is a metabolic state where you burn fat instead of carbohydrates for energy. If your body does not have enough glucose, it will convert fatty acids into ketones which is an alternative source of energy. This makes it an effective tool for weight loss. Ketogenic diets have been used as a treatment for various diseases such as epilepsy and type 2 diabetes. A significant amount of research is now suggesting cancer is a metabolic disease. A metabolic disease is any disease or disorder affecting the metabolism from functioning normally, affecting how food is converted to energy on a cellular level. Cancer cells prefer to convert glucose to energy in the presence of oxygen, which is a process is known as aerobic glycolysis. Normal cells, however, use oxidative phosphorylation, which is a much more efficient process. This suggests that cancer cells thrive on a high-glucose diet, but become vulnerable when they are deprived of glucose. In healthy individuals, blood glucose levels are tightly regulated. However, in cancer patients, other factors may play role in helping cancer cells use glucose for fuel. For example, cancer cells have a high number of insulin receptors. This means when carbohydrates are consumed, insulin is released in response, and since cancer cells have more receptors, they can obtain enough glucose, even if glucose concentrations are normal. Insulin and insulin-growth factor I (IGF-I) may also promote cancer cell proliferation. Therefore, since cancer cells depend on glucose, switching a cancer patient to a ketogenic diet may be significantly disadvantageous for cancer cells and may offer a potentially new treatment. Changing the body’s main source of fuel from carbohydrates to fat would have a three-fold disadvantage to cancer cells. First, since cancer cells use aerobic glycolysis, many cancer cells are unable to use fat as a source of energy. Second, most cancer cells are unable to metabolize ketones, an alternative source of fuel. Finally, ketones may also potentially inhibit cancer cells metabolizing glucose. These factors all contribute to stopping cancer cells growing. Research on the effects of a ketogenic diet on cancer cell growth has been demonstrated in animal models. These studies have shown that modifying the diet to a ketogenic diet has significant effects such as preventing cancer initiation, inhibiting tumor growth, enhancing the effects of other treatments like radiotherapy and chemotherapy, and prolonged survival. However, there hasn’t been a lot of research done which has assessed the effects of the ketogenic diet in human cancer patients. Despite the limited evidence, the studies do suggest the ketogenic diet is safe and a possible treatment strategy to improve the disease status in cancer patients. A recent study in the US has investigated whether a ketogenic diet would have a positive impact on patients with ovarian or endometrial cancer. Ovarian and endometrial cancer are two of the deadliest cancer types among American women. Both cancer types are linked to obesity, which means glucose, insulin, and IGF-I are all increased. Therefore, it was hypothesized that a ketogenic diet would lower insulin levels and decrease growth factors which are essential for growth in ovarian and endometrial cancers. The results of this study were recently published in The Journal of Nutrition. The randomized controlled trial included 45 women with ovarian or endometrial cancer with an average age of 19 years old and body mass index (BMI) greater than 18.5 kg/m2. They randomly assigned the participants to either a ketogenic diet or the American Cancer Society diet. The ketogenic diet consisted of 70% fat, 25% protein and 5% carbohydrates whereas the American Cancer Society diet was high-fiber and low-fat. The trial was conducted over a period of 12 weeks. Body composition, fasting serum insulin, IGF-I, β-hydroxybutyrate (a marker used to detect ketones) and urinary ketones were measured throughout the trial. The results showed that after 12 weeks patients who were on the ketogenic diet lost a greater percentage of visceral fat (fat stored in the abdomen or “deep belly fat”) resulting in a lower total fat mass. These results are consistent with previous studies in various populations which have shown that a lower-carbohydrate diet decreases abdominal fat and total fat more than a low-fat diet in women with polycystic ovary syndrome and those at risk of type 2 diabetes. There was no significant difference observed between the two groups regarding lean mass after the 12 weeks. Participants on the ketogenic diet did not lose lean mass, instead, the diet appeared to induce the reduction of fat and retention of lean mass. Preservation of lean mass is particularly important in cancer patients as the incidence of sarcopenia, the loss of muscle mass is high in cancer patients. The study also found that fasting insulin levels were lower for participants on the ketogenic diet. This suggests the ketogenic diet may improve insulin sensitivity and it is proposed this improvement may be linked to the depletion of visceral fat. However, the mechanism behind this association remains unclear. Lower IGF-I concentrations were also seen in the patients on the ketogenic diet compared to the patients on the American Cancer Society diet. There was also an inverse relationship between IGF-I and β-hydroxybutyrate levels. As IGF-I levels decreased in the ketogenic patients, beta-hydroxybutyrate levels increased. Achieving ketosis is related to blood ketones levels and the importance of achieving ketosis was previously demonstrated in a small study which linked cancer remission directly to the concentration of ketones in the blood. The increase in beta-hydroxybutyrate levels potentially reflects an environment which limits cancer proliferation. To the best of the researcher’s knowledge, this is the first randomized study which has looked at the effects of a ketogenic diet and cancer in human cancer patients. The main limitation of this study is the diversity of the women included in the study. The female participants varied in cancer type, treatment history, stage and concurrent treatments (such as chemotherapy). All these factors may have influenced the results. Also, food was not provided to the participants which means there was a lack of control over the dietary intake and adherence which also have an impact on being able to generalize the results. In conclusion, this study did show that over a period of 12 weeks, ovarian and endometrial cancer patients who were on a ketogenic diet lost more visceral and total fat compared to patients on the American Cancer society diet. The ketogenic diet patients also maintained lean body mass and the findings also showed a decrease in cancer-related growth factors. While further research is necessary to determine if the ketogenic diet is an effective adjuvant treatment for cancer, the results are promising. Ketosis and the Ketogenic Diet Explained – A Complete Beginners Guide. Bulletproof blog website https://blog.bulletproof.com/keto-diet-guide/. Accessed August 20, 2018.